December | 2013 | Linden Optometry A P.C. Monday, December 23rd, 2013 was Ugly Sweater Day for the staff at Linden Optometry, A P.C. Employees were encouraged to dress up in their holiday attire and black pants to show off their “ugliest” holiday spirit. Receptionists and technicians alike embraced the challenge wholeheartedly. Some came donned in pom-pom studded cardigans while others opted for the tree garland laced pullover sweater. 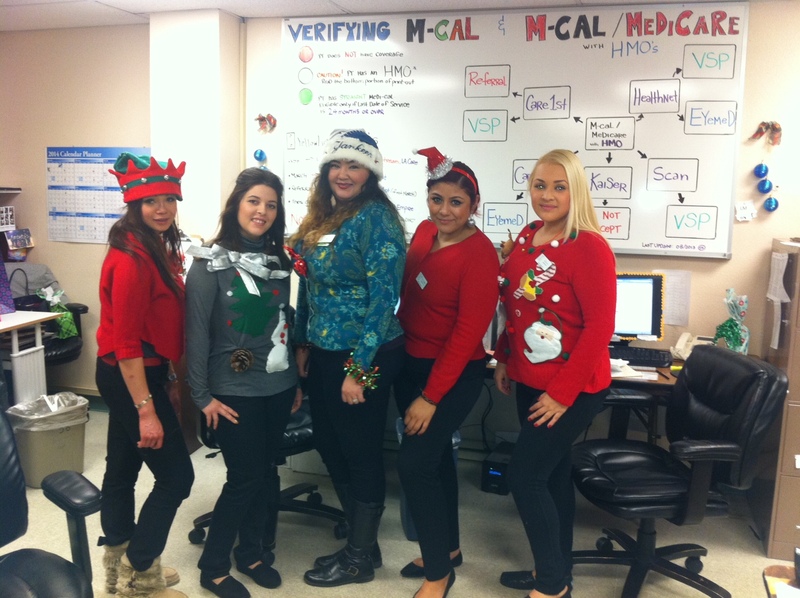 Whichever sweater they picked, all the employees and all the patients had a good laugh and a good time!